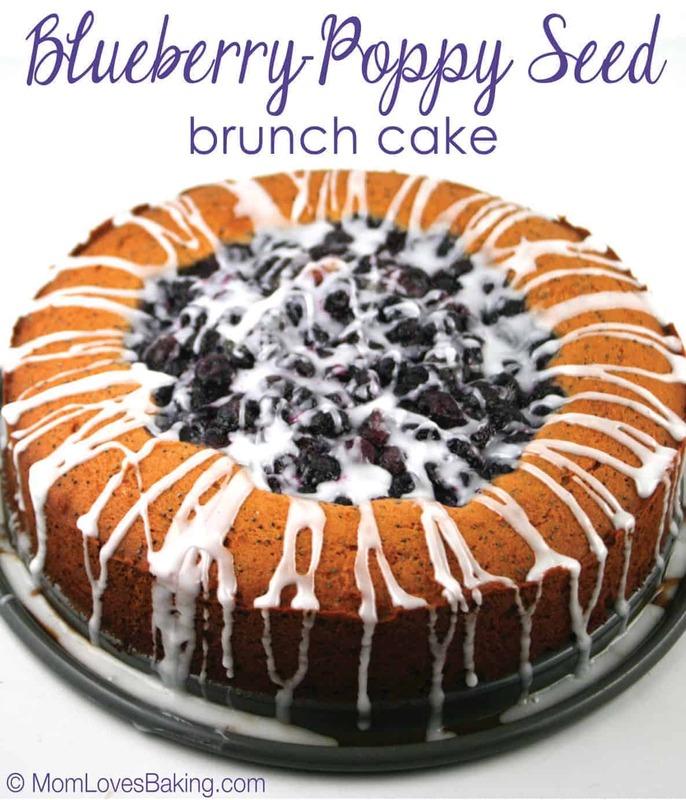 Blueberry-Poppy Seed Brunch Cake won the 34th Pillsbury Bake-Off in 1990. 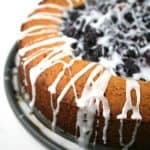 Recipe on Pillsbury.com by Linda Rahman of Petaluma, California. 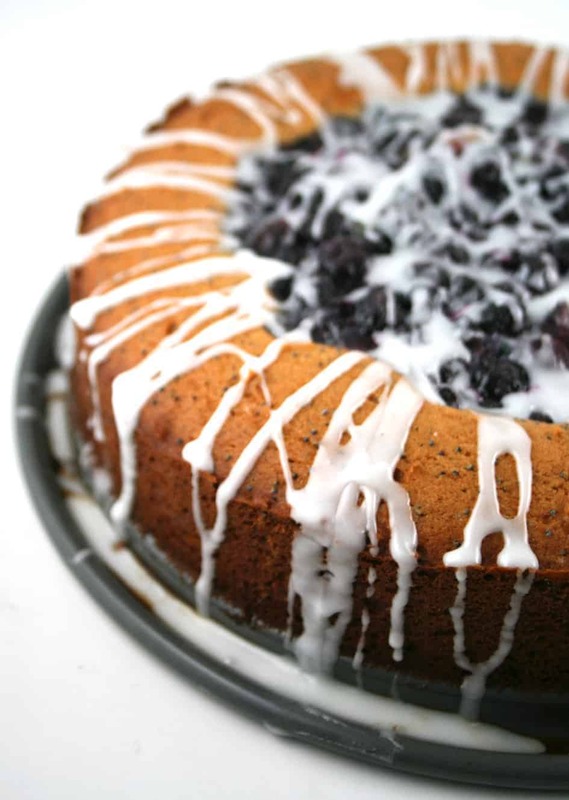 A lemon flavored poppy seed cake with blueberry filling and powdered sugar/milk drizzle. 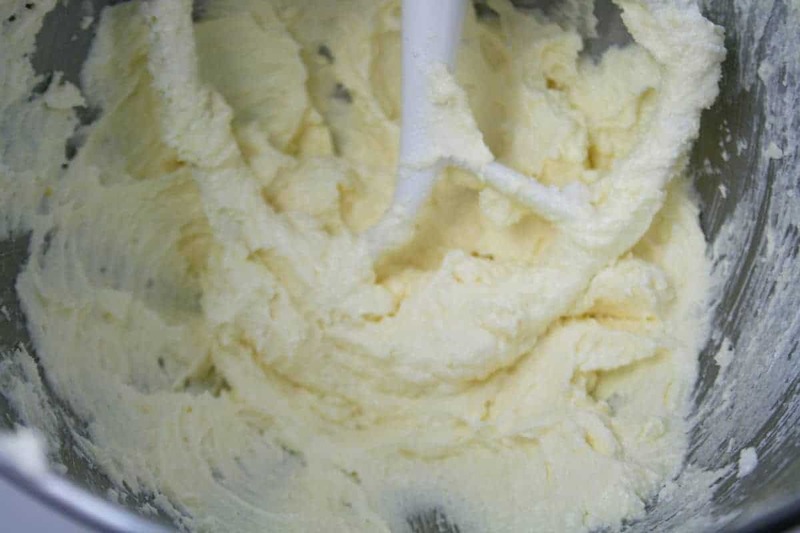 Start by beating butter and sugar until light and fluffy. Add lemon peel and egg. Mix well. 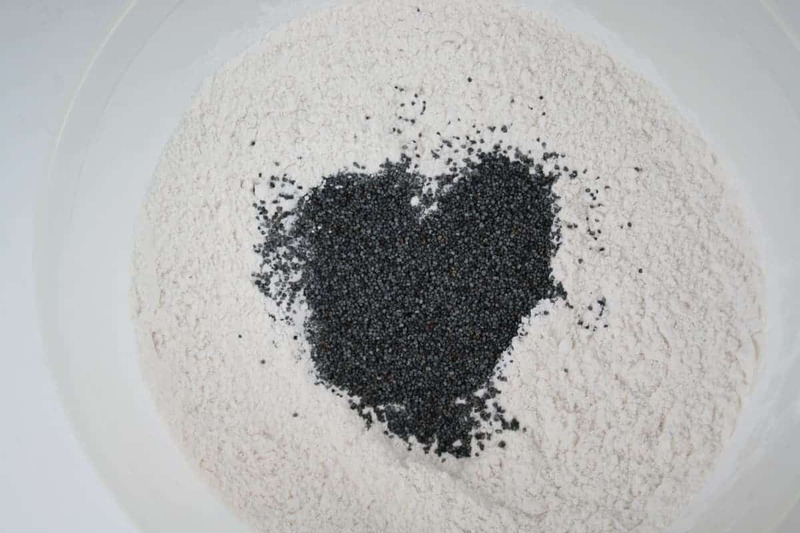 Then add a mixture of flour, baking soda, salt and poppy seeds. 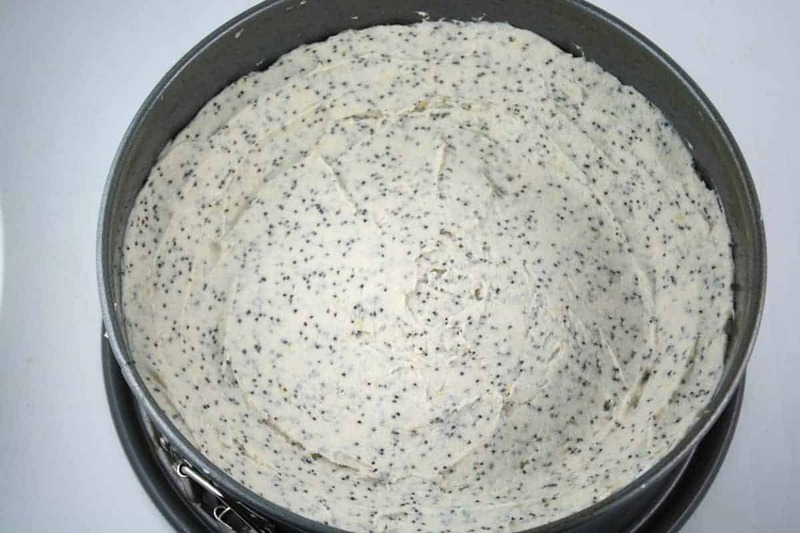 Look what happened when I dumped the poppy seeds in. A spontaneous heart. I love it when that happens! 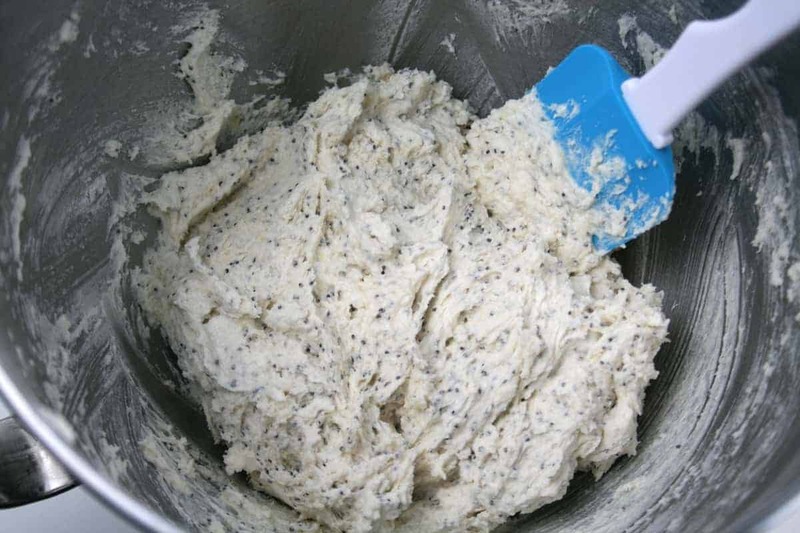 Spread batter over bottom and 1 inch up sides of greased and floured 9 or 10-inch springform pan, making sure batter on sides is 1/4 inch thick. 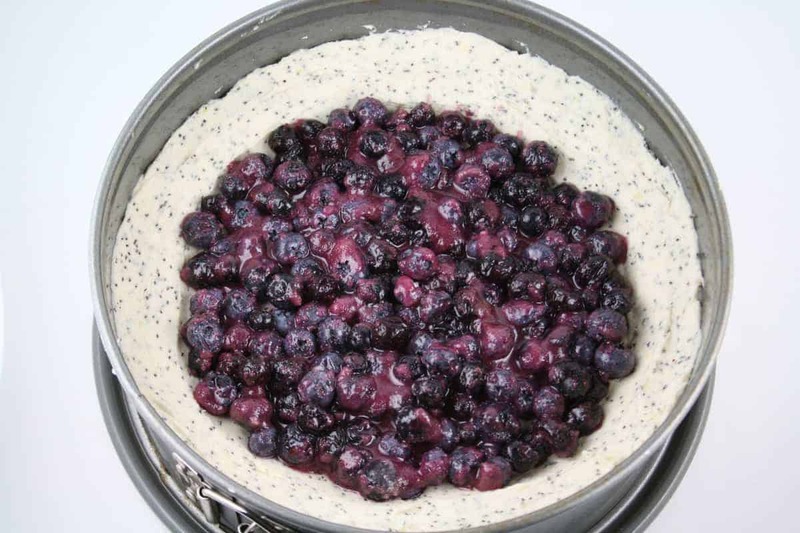 Add the filling (blueberries, sugar, flour and nutmeg) and bake at 350° for about 45 minutes. After it cools a bit, drizzle with a mixture of powdered sugar and milk. Perfect for tea time or a brunch party.